I always have a blast doing this. My TBR – not so much. Sue – email me and I’ll get you scheduled. Thanks! Pick me! Pick me! I’ll follow directions and send you an email so I don’t get misplaced. Got it – thanks, Craig! I always have some new ones by the end of October, Diana. it’ll be an interesting month. looking forward to it. With all the horror movies on TV and horror books on sale, October has always been a special time for me, Jina, lol. Nooo! Maybe you could start with light horror, Sophie – then work your way up. I remember being part of this a couple of years ago. Great fun! Sadly, the book I’m getting ready to release (in November) is neither horror nor thriller, and only a bit paranormal. But I’ll check in and see what you feature. I remember too, Audrey! Hope you can join us again soon. 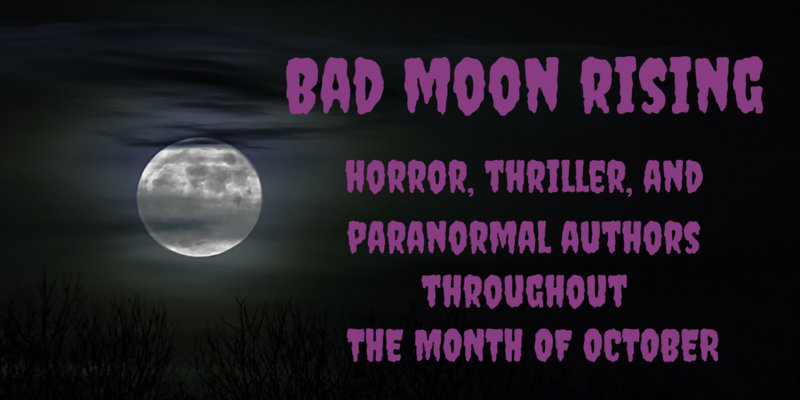 Make sure to drop by – plenty of horror books to be had!